Today i will be talking about StakeCube a proof of stake service, which allows you to deposit different type of PoS coins like Pivx, Reddcoin, Bitcoin Green, Navcoin, XPCoin, Beancash and many others. When you stake inside a pool you get faster and higher amount coins, this is why these staking pools exist. They also offer masternode services on their platform. 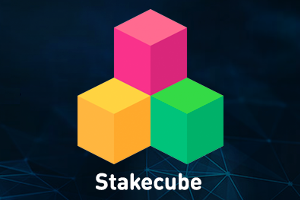 They also have their own coin known as Stakecube and holding it in the platform will give lower fees. There is also a Faucet inside the website that allows you to claim every 24h some of the coins that are being staked on the service. You don't need to be logged in or have an external wallet to have your coins staking on the service, it will do that automatically, its AUTO-pilot money. Congratulations @sugitv! You received a personal award!